Bonitasoft is slowly phasing out its revolutionary Bonita Open Solution V5 and urging its users to embrace newer versions of BPM software. As a Bonita BPM user, if you are planning for a Bonita BPM migration, this is the right time. Further, migrating to a newer version helps users gain access to fascinating set of new features such as actor mapping, configuring parameters and environments. The newer versions also includes a feature rich design/development environment and makes the design and development process simpler. Bonitasoft has been regularly coming out with newer and improved versions of their open source BPM tool. This blog post is for Bonitasoft BPM users who are keen to migrate to newer versions of Bonitasoft (especially to version 6X), but find it challenging. It provides users with a step-by-step Bonita BPM migration process and highlights the common issues faced during the Bonita BPM migration. Bonita BPM migration from 5X to 6X can be a tricky process, unless you are an advanced user or have an in-depth knowledge of the software. Open the Bonita BPM 6X studio. Click on ‘Diagram’ and ‘Import’. Select ‘Bonita BAR 5.9/5.10’ and browse the location of the BAR file. Click on ‘Import’ to finish. Some of the components that get affected during the Bonita BPM migration are highlighted below. An important point to note here is that only the processes developed in Bonita BPM versions 5.9/5.10 can be imported/migrated to Version 6X. Furthermore, the Bonita 6X studio does not recognize the Bonita BPM 5X repository. Hence, Bonita 5X processes can be migrated to Bonita 6X only by importing the bar files. Once the import process is completed, a new repository needs to be created as outlined below. In the Bonita BPM studio, click on ‘Repository’ then ‘Team’ and then choose the option ‘Connect to the repository’. A dialog box is displayed, enter the repository URL, username and password and click on the ‘Next’ button. A list of available repositories is displayed. To create a new repository, select the option ‘Create a new repository’. A dialogue box appears, enter the repository name in the dialogue box and click on ‘OK’. Select the appropriate repository and click on ‘Connect’. It is important to note that Bonita version 5X repositories are not shown in the list of repositories. Upon migration, the connectors need to be checked thoroughly and users have to make sure that the code is tweaked according to the current Bonita BPM version, which is 6X. Custom connectors extend the Abstract Connector class. The method validateValues(), which is overridden in Bonita BPM version 5X is not available in the Bonita BPM version 6X and hence it has to be removed from the code post the migration, else it may display few errors. The BAM (Business Activity Monitoring) KPIs are not migrated from 5X to 6X. Hence, they need to be re-configured in the new version. The new actor mapping should be configured as the old mappings are not migrated during the migration process. After creating new actor mappings, it is recommended to export the file and save in a local directory or an external repository. Custom data types are not migrated during the migration process and will need to be re-created. New organization should be created with groups, roles and user mapping configured accordingly. There could be deprecated groovy scripts in the process due the API calls made in those scripts, which are not supported or deprecated in the newer versions. New scripts need to be defined in which appropriate API calls need to be made. Follow the steps outlined below to fix these issues. Click anywhere in the pool, go to ‘Application’ tab. Click on ‘Look ‘n’ feel’. Select the ‘Default Application’ and then click on ‘Finish’. Select ‘Yes’ when the following dialog box appears. After a process is migrated in version 6X, while opening a diagram the status ‘Migration Ongoing’ is displayed next to the process name in the studio. The status column indicates, if the elements have been completely migrated or not. An option is provided in Bonita 6X to generate the import status report. In order to generate the report, users have to click the drop down arrow as shown in the above diagram and select ‘Export as PDF’. Subsequently save the PDF file in a preferred location. After the report is generated and reviewed, appropriate boxes should be checked and reviewed. After this process is completed, click on the ‘Exit Import Mode’, which will ensure successful completion of the process. When the process is opened next time, the ‘Migration Ongoing’ status is not displayed. Migrating to the newer version of Bonita BPM helps users to make use of the latest features that are available in this tool. The new features and tools of Bonita BPM not only shorten the development process, but significantly reduce development time and improve application performance. Moreover, interesting features such as a rich user interface; the concept of business data modeling and replay a task/connector, when an error occurs makes it simpler to maintain workflows/processes. Bonita BPM users will truly enjoy the experience working on the newer versions of Bonita BPM. Here’s wishing you good luck for your Bonita BPM migration. Here’s an official link from Bonitasoft that contains an exhaustive documentation of the new features and concepts introduced in the Bonita BPM version 6X. 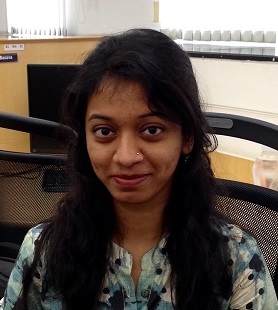 Sujatha Ravichandran was a Software Engineer at Evoke Technologies. She is competent in core Java, web application development, Spring, Hibernate, HTML and CSS. She has an excellent grasp of Bonita BPM open source software and its functionality. Sujatha was part of multiple Bonita BPM projects at Evoke.